For many children, camp is the first time that they have been around other children and adults with hemophilia. This camaraderie provides campers with a sense of relief that they are not the only ones with hemophilia and with an opportunity to share with others. Counselors and staff encourage children to talk about everything from feelings about hemophilia to practical tips for coping. As a result, children emerge from camp as stronger, more self-reliant individuals. The Nebraska Chapter provides scholarships to send children with Hemophilia to area camps. 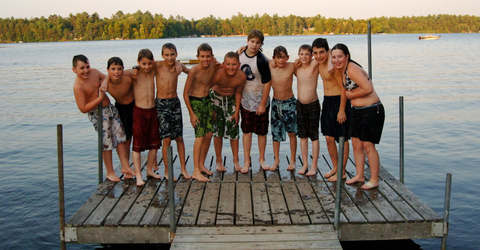 NE NHF does not currently have a week long bleeding disorder camp and so many of our youth go to surrounding states. The chapter works with the Iowa, Colorado and Midwest Chapter to ensure all kids who want to go to camp have no barriers in doing so. Please click below for more information on area summer camps!